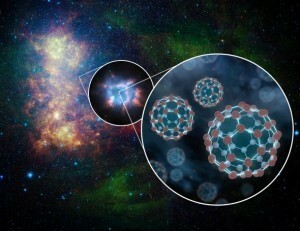 Since matter is made of atoms, it’s fairly common for materials to form into crystal lattices. Table salt, quartz, diamonds, etc. are all crystal formations. The arrangement of atoms in such crystals are regular and periodic, but there are some materials where the atoms are arranged in a crystal-like structure, but their patterns are not periodic. 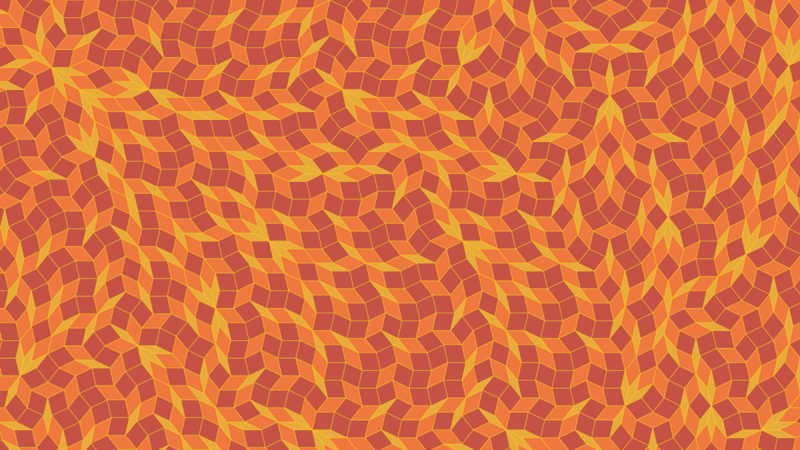 These quasicrystals follow patterns similar to Penrose tiles, where there is some broad sense of symmetry, but not a rigid repeating arrangement. 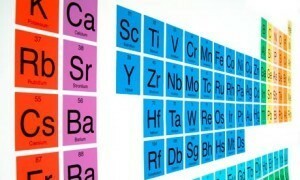 Crystals can be identified by their overall symmetry, and follows the way different shapes can tile on a flat surface. Since lines, triangles, squares and hexagons can all tile a plane, crystals must have an n-fold symmetry of 2, 3, 4, or 6. But in 1982 Dan Shechtman found that aluminium-manganese alloys could form a 5-fold symmetry, like some Penrose tiles, hence the origin of quasicrystals. Most quasicrystals are manufactured in the lab. It’s tricky to get them to form, since the tendency for atoms to arrange in regular patterns is so strong. But there are a couple of cases where quasicrystals formed natural, and it’s a bit of a mystery as to how they occurred. New work suggests that they could have formed through the collision of rare asteroids. There are only two examples of natural quasicrystals, both from the same meteorite. This particular meteorite also has evidence of shock fractures, indicating it had undergone a collision at some point in its history. This led a team to suspect that meteor collisions could produce quasicrystals through a rapid succession of compression, heating, and cooling. So they devised an experiment where a bullet-speed projectile was fired at small sample of the meteorite. Since the natural quasicrystals are formed of aluminum, copper, and iron, they used a sample that contained a copper-aluminum alloy. They found that impact with the projectile did indeed form quasicrystal structures. So it seems that quasicrystals do form naturally through asteroid collisions, but are still likely to be quite rare.